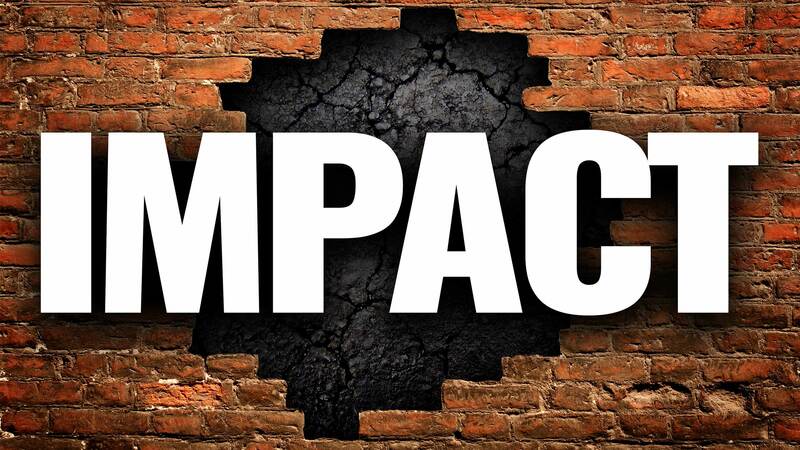 I.M.P.A.C.T CAMPAIGN Was created to inform communities that they can help prevent substance abuse. 1. Before you start to talk, you must listen. 2. It starts with YOU. You can paint the picture of what you should and shouldn’t do with drugs and alcohol. So, make sure it is a positive one. 3. Get involved with organizations in your community that help prevent substance abuse. 4. Speak up! If you don’t think it’s cool to do drugs, then someone else will think that way too. 5. Remember you can only change the world if you start with yourself first. Purpose: To significantly reduce the prescription drugs in American homes that are either no longer needed or outdated. These same drugs unfortunately have become the target of theft and misuse, oftentimes by people who have access to the residence. America’s 12 to 17 year olds have made prescription drugs the number one substance of abuse for their age group, and much of that supply is unwittingly coming from the medicine cabinets of their parents, grandparents, and friends. More and more adults recognize the need to remove these substances from the home and legally and safely turn them over to law enforcement for proper chain of custody and court ordered destruction. So please, properly dispose of your unwanted and unused prescription drugs. History: Red Ribbon Week is celebrated each year in October. It began after the kidnapping, torturing and brutal murder of Drug Enforcement Administration (DEA) agent Enrique “KiKi” Camarena in 1985. Agent Camarena had been working undercover in Guadalajara, Mexico for over four years. His efforts led to a tip that resulted in the discovery of a multimillion dollar narcotics manufacturing operation in Chihuahua, Mexico. The successful eradication of this and other drug production operations angered leaders of several drug cartels who sought revenge. As a result, they murdered key informants and then, on February 7, 1985, they kidnapped Agent Camarena and his pilot Captain Alfredo-Zavala-Avelar, taken separately on the same day. After DEA Agent Camarena and Captain Alfredo Zavala-Avelar were kidnapped, the DEA launched a massive investigation. The agents found local law enforcement uncooperative at best. DEA Administrator Jack Lawn and US Attorney General Edwin Meese sought greater support from Mexican officials including the Mexican Attorney General but to no avail. Orders from US Customs Commissioner William von Raab effectively closed the US/Mexico border for days putting pressure on the Mexican government to assist. The dramatic events that followed Agent Camarena’s disappearance were chronicled in national media and at home. They exposed the dark world of drug trafficking including how far drug traffickers would go to maintain power and control. In Agent Camarena’s home town, Calexico, CA. the public outpouring of support turned in to an organized community response in which citizens dawned red ribbons. They became a voice for prevention in order to reduce the demand for illegal drugs and illegal use of legal drugs in America. In 1988, RED RIBON WEEK, was recognized nationally with President Ronald Reagan and Mrs. Nancy Reagan serving as the Honorary Chairs. Today, the RED RIBBON CELEBRATION, brings millions of people together to raise awareness regarding the need for alcohol, tobacco and other drug and violence prevention, early intervention, and treatment services. It is the largest most visible prevention awareness campaign observed annually in the United States. 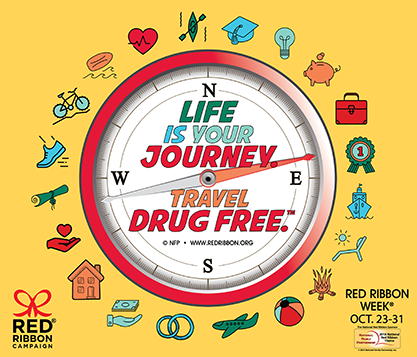 This year Red Ribbon Week will be celebrated October 23-31, 2018.